He was educated at Durham University (where he was organ scholar of St Chad's College) and at the Royal College of Music. He was appointed assistant organist at St George's in 1990, succeeding as Organist and Director of Music in January 2000. 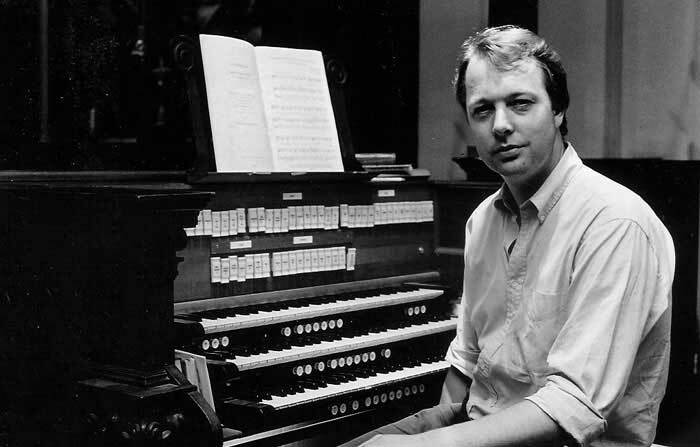 As an organist he has given recitals in cathedrals, churches, and concert halls in this country and in Europe, and has given several first performances of works by Bryan Kelly. As a choral director, he has conducted many of the major works of the repertoire and has commissioned and premiered several new works. Simon Williams combines his position at St George's with those of Education Officer for the Royal College of Organists, tutor for St Giles International Organ School, and Music Director of Harrow Choral Society. He studied with H.A. Bate at St James Muswell Hill and with Dr Arthur Pritchard, and was for a time assistant organist at Southwark Cathedral. In 1952 he founded the Tilford Bach Festival (which still continues) and with the Tilford Bach Choir and Orchestra gave many concerts and broadcasts of Baroque and modern music (much of the latter specially commissioned). In the 1960s he toured Europe with his choir and orchestra and guest conducted the BBC Symphony and Northern Orchestras, the Swedish Radio Orchestra, Berlin Symphony Orchestra and others. In 1978 Denys Darlow founded the London Handel Festival and its associated groups, the London Handel Choir and Orchestra, and with them has been responsible for reviving many of Handel's major works at the annual festival each Spring. For many years Denys Darlow was a Professor at the Royal College of Music; he is also active as a composer. A former Head Chorister of Hereford Cathedral, a brilliant choir-trainer and musicologist, who retired after twenty-five years of service. He is still remembered by some parishioners, having had a splendid tenure of fifty-five years, during which he maintained the old standards in an ever changing musical climate. He was responsible for the introduction of a boys' choir in 1885, a tradition which ended in 1972. An old chorister of Westminster Abbey. He combined his post at St. George's with the office of assistant organist of the Abbey. He composed Services and anthems, part-songs and organ music (including a Wedding March). 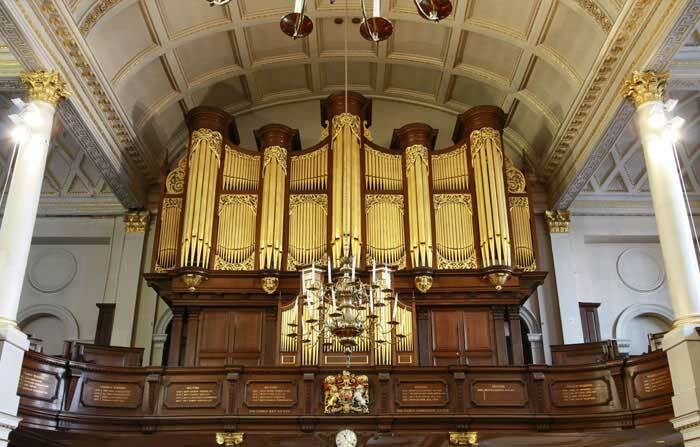 In 1876 he left St. George's to become organist at Her Majesty's Chapels Royal. A former Chorister of St. Paul's Cathedral, who learnt his music from Thomas Attwood, who had been a pupil of Mozart in Vienna. He poured out a steady stream of Glees, Catches and Rounds, as well as piano music. 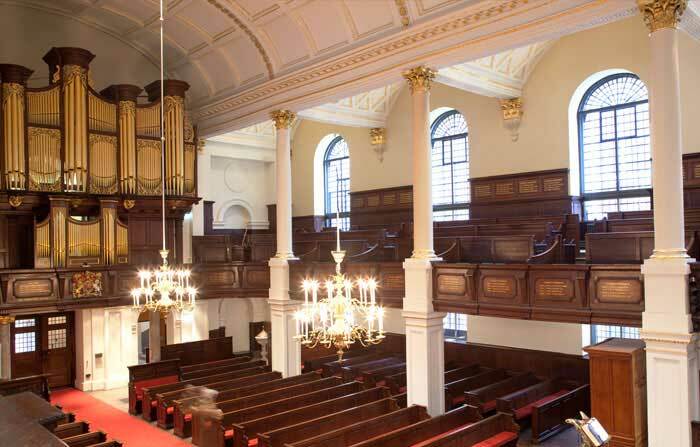 In 1823 he published a "Selection of Psalm Tunes as Sung in the Parochial Church of St. George, Hanover Square", which had a steady sale and reached its fourth edition by 1850. A nephew of the famous harpsichord maker of the same name. Kirkman was a fertile composer, but the Vestry found cause to complain of his neglect of his duties and of the poor substitutes he provided. After several warnings he was made to resign in 1802. A former chorister of Chichester Cathedral became the second organist, but did not receive full pay until after Roseingrave's death in 1766. He was appointed as Roseingrave's assistant, succeeding to the full post when Roseingrave retired to Ireland. 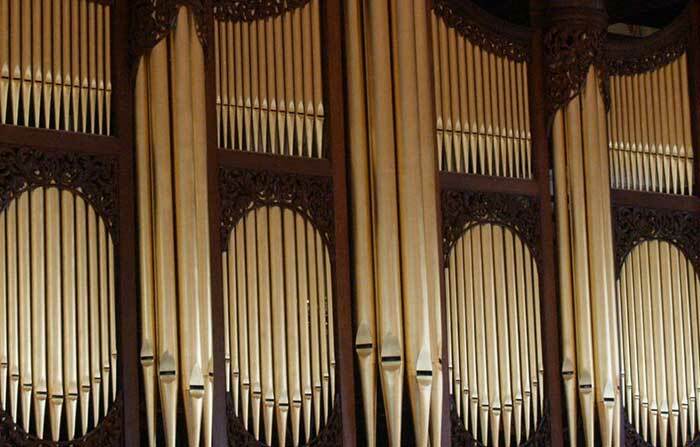 Keeble published four volumes of 'Select Pieces for the Organ' in 1777 - 8, though they are the product of a much longer time span. 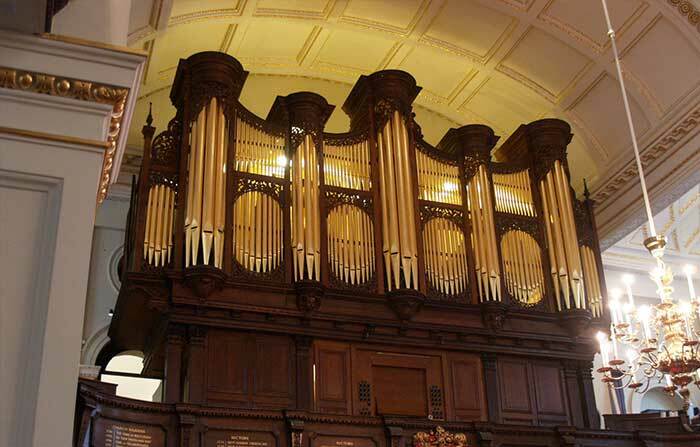 As Robin Langley writes 'He was the first English organ composer to construct large-scale pieces in several inter-connected movements, and the first to make a distinguished contribution to decorative writing in the Rococo style'. Keeble also published songs and a book on the Theory of Harmonics. He died in 1786. Born in Winchester in 1691, where his father was organist before being appointed to St. Patrick's Cathedral, Dublin. Thomas was so promising a musician that the Dean and Chapter of St. Patrick's gave him a grant to study in Italy, where he became a friend of the two Scarlattis and a devotee of the works of Palestrina. Domenico Scarlatti made a great impression on him and, on his return to England, Roseingrave did much to promote Scarlatti's music. Roseingrave's virtuoso playing drew mixed comments: Hawkins found it 'harsh and disgusting, manifesting great learning, but void of eloquence and variety' whilst Burney wrote that he 'had a power of seizing the parts and spirits of a score and executing the most difficult music at sight beyond any musician in Europe'. 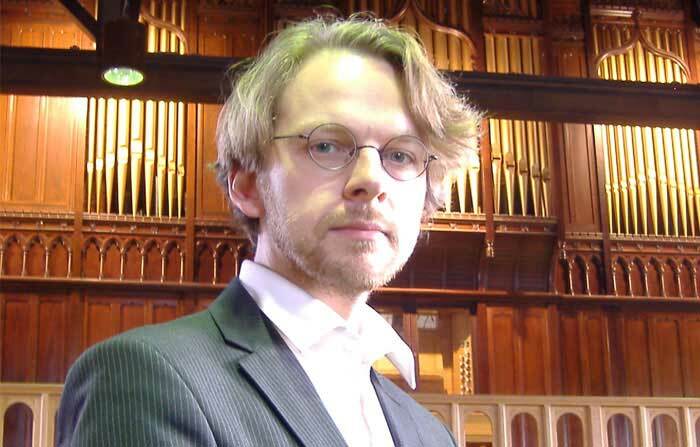 As a composer, Roseingrave published both vocal (choral and solo) music and works for keyboard (harpsichord and organ). His First Set of 'Voluntaries and Fugues made on purpose for the Organ or Harpsichord....' are, according to the scholar Peter Williams, the earliest collection of English organ fugues ever printed. 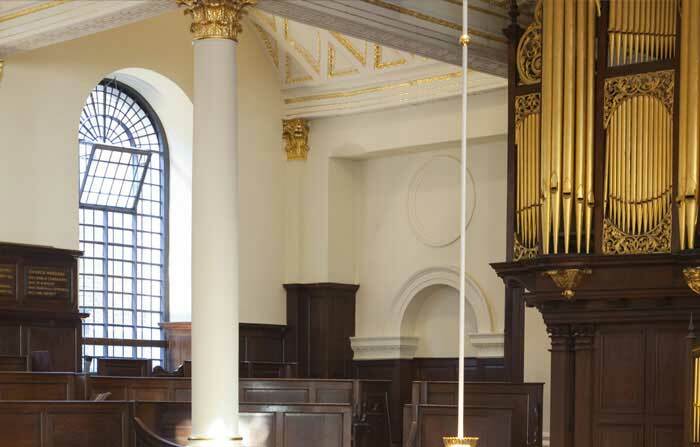 Back in London in 1717, he soon acquired a reputation as a teacher and a virtuoso organist. 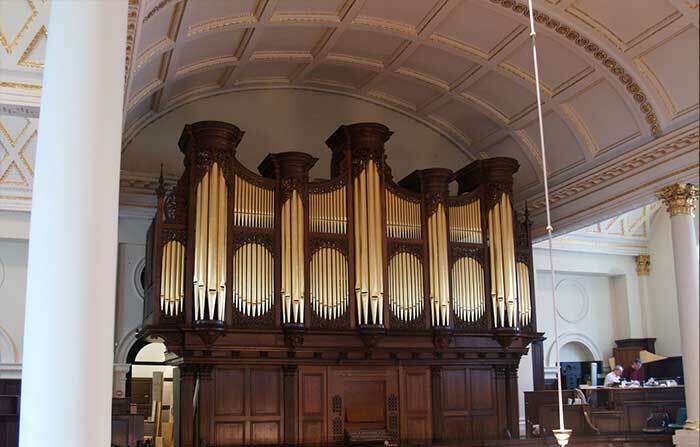 In 1725 he was appointed the first organist of St. George's, a position which he held until his retirement in 1737 through mental ill-health - the balance of his mind having been disturbed by his love for one of his female pupils (the girl's father forbade her from marrying a musician). He composed for organ, harpsichord and flute, and six cantatas of considerable interest but uneven merit. The Vestry of St. George's continued to pay him half salary until his death in 1766.